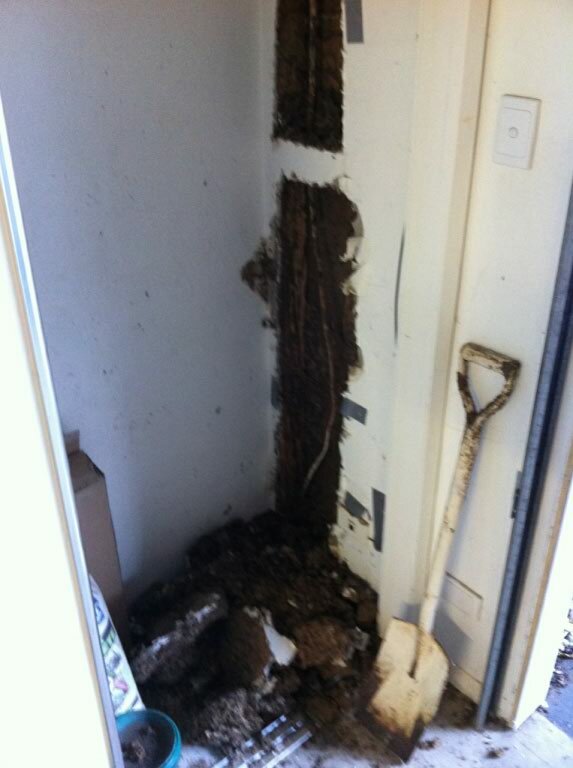 The Tradesmen on Time team were recently called out to a hot water system in a Brisbane home. It was exhibiting some faults and appeared “live” on the exposed copper pipes. On investigation we found a healthy population of termites had decided that the warmth and water created ideal breeding conditions. They had built their nest around the electrical supply cable and had so badly damaged the insulation around the cable that they had caused a dangerous fault that could have been life endangering. Talking with our local termite inspectors, they tell us that termites love damp areas around houses, and that hot water overflow pipes create ideal conditions. When you test the release valve every few months on your hot water system, also take a good look around the hot water system for signs of any termite tracks or nests. Termites not only cause structural damage to your home, if they get into the wrong areas they can create electrical faults. Never muck around with hot water systems or try and repair the wiring yourself. This is definitely a job best left to qualified electrical contractors. If your hot water system is running cold – call the electricians at Tradesmen on Time.